I have a background in mechanical engineering and industrial (product) design and I have brought these skills to bear on the aesthetics and tonal quality of the uilleann pipes that I design and hand-craft. I am fortunate to own a set of uilleann pipes in concert pitch D, made in 1924 by one of the great historical makers, William Rowsome. I have taken very accurate measurements of the internal bores of this set of pipes and made a set of reamers to produce a very accurate copy of the chanter bore. I use these sets of measurements as a template on which I base my own design. 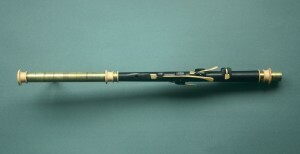 Instruments made by William Rowsome, whose craft was carried on by his son Leo, are regarded as being among the finest examples of the uilleann pipes in concert pitch D.
My chanters, pitched in concert D, are made from Indian ebony, with castello boxwood (or Ebony) mounts and brass metalwork. They are not a particularly loud instrument: rather they have a sweet tone, a powerful hard bottom D, a rich, bright back D and are very much in tune over the full chanter range. 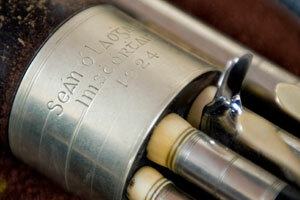 Each tonehole is carefully scalloped by hand to produce a beautifully ergonomic “feel” to the chanter for the player. I hand-forge keys with my own distinctive aesthetic “sweep”. I can make and fit Cnatural, Fnatural, Bflat and Gsharp keys as required. The Fnatural key can be a ring key or straight key (using little finger of the top hand). Chanters can be made for left or right-handed players. Please note I am no longer making my own Bellows. 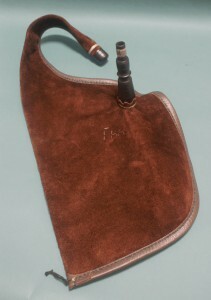 I am now supplying Kelleher Traditional Bellows with all my pipes. The bags I use are supplied by Kelleher Traditional and are of premium quality. 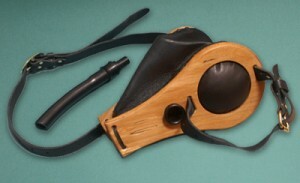 I make the stocks for the bag from either castello boxwood or Indian ebony. 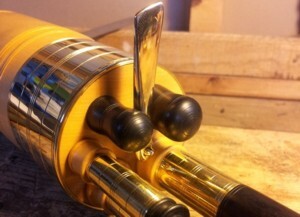 My Drones are made from the same materials as my chanters, namely Indian ebony, castello boxwood and brass metalwork. My mainstock is solid, and made from castello boxwood. A set of my drones can be seen in the “Ceol Pipes Drones” video on the Audio and Video page. My drone switch key shape has the same aesthetic sweep as my chanter keys, as does my unique bass drone puck. Overall, the styling of my drones is neat and slender, and the tenor and baritone drones are heavily influenced by my 1924 Willie Rowsome drones. Acoustically, the drones are beautifully balanced, and totally stable over the full range of the chanter. Check out the video page for sound samples. 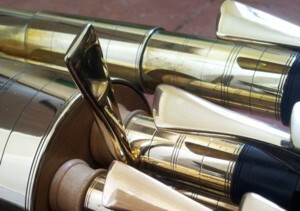 As with my drones and chanters, my regulators are made from Indian ebony, with castello boxwood and brass metalwork. The regulator keys are initially water-jet cut from brass plate and feature my distinctive signature sweep design. I then bend and hand-finish the keys to maintain this aesthetic throughout the full set. The tuning pin handles for each regulator also feature my signature asymmetric shape. I make all the key springs from phosphor bronze, and a nylon bed provides a bearing surface to ensure extra-smooth operation of the springs.